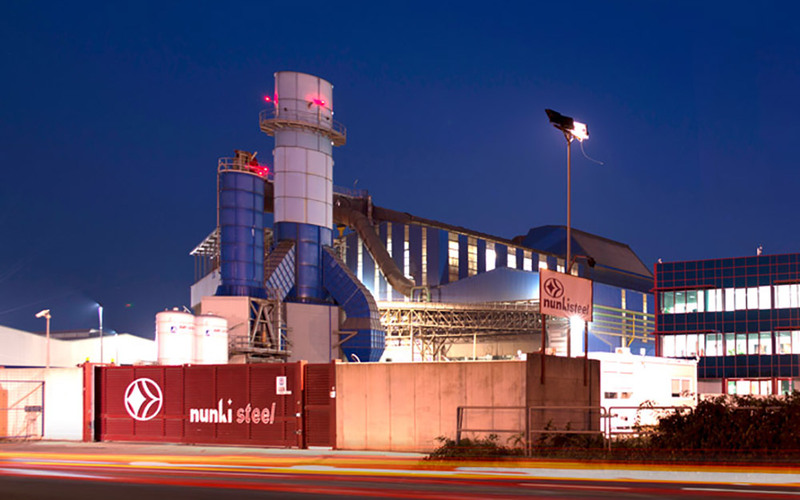 Nunki Steel is a steel mill that started the production of forging ingots in 2007 , following the acquisition of an existing steel mill in operation since the early 1980s. A complete refurbishment of the facility has followed after the acquisition by Giva Group; the facility has been fully reorganized, requalified and enlarged with the installation of a state of the art equipment, both for melting, refining process of steels and the following treatments after casting. Nowadays the facility extends on total surface of 240.000 sqm, almost 30.000 sqm covered. Nunki is equipped with an electric arc furnace of 90 tons (EAF), 2 ladle furnaces for the refining, 1 VD/VOD equipment of 80 tons, several heat treatment furnaces, insulating slow cooling bells and cutting machines. Cranes and lifting devices provides handling capacity of 250 tons. A complete overhaul of the installations and infrastructures, supported by high-grade personnel training, has established Nunki Steel as a benchmark at national and international level, with a capacity of 350.000 tons per year. Nunki Steel produces different steel grades in response to the demand of the various industrial sectors and is able to offer a wide range of shapes for its products, like square, round and polygonal ingots, achieving a maximum capacity of 200 tons per ingot as total weight. All the production chain is managed strictly adhering to the customer requirements and in accordance with the ruling standards. A designed software has been developed to control the whole production process, assuring the top levels in terms of quality standards. The quality of the steel is for Nunki Steel the main focus of its core business, supported by a modern laboratory for the chemical analysis and a control system for all the operations, from the acceptance of incoming raw materials, till the final quality check on the products. The stringent testing procedures for the checking of both process and products and the high quality standards adopted have grant Nunki to obtain important certifications and qualifications.